Noyo, a Boston based educational software company, is pleased to announce the release of Noyo French Immersion for the Mac app store, the French-only version of its powerful vocabulary-building iPad app. This engaging learning tool is designed to teach French vocabulary and supplement the curricula of French immersion programs in classrooms around the world. Following the educational principles of language immersion programs, Noyo French Immersion features lively graphics, built-in assessment questions, and professional audio and content text exclusively in French. This new version allows educators to use our app in an immersive language-learning setting, said co-creator Mike Sullivan, who serves as Chief Learning Officer of Noyo. We are thrilled to bring Noyos exciting, innovative vocabulary-building system to language immersion classrooms. Noyo French app was developed specifically with educators from French immersion schools and online French immersion programs in mind, providing them with a tool to engage students and enrich lessons taught exclusively in French. 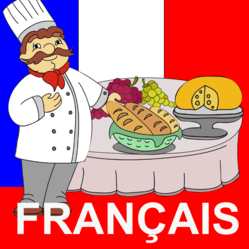 Noyo French Immersion links French vocabulary words to entertaining images and high-quality audio to provide a strong educational foundation for language learning. A talented team of graphic design artists brings vocabulary to life with comical characters and amusing scenarios, and each word or phrase is voiced by a native French speaker. The app offers ten targeted vocabulary units, each with its own set of assessment questions for maximally effective learning. All text and audio in the vocabulary-building and assessment slides are presented in French for an immersion experience; English navigation buttons and menus are included to guide beginning language speakers. The built in assessment piece allows teachers to monitor and track data. Noyo was created through the combined vision of veteran Spanish schoolteacher Mike Sullivan and innovative mobile software entrepreneur Ted Chan, who specializes in mobile user interface design. Noyo French Immersion follows from their vision of quality, affordable language learning software that fits the needs of students and educators. "We created an immersion version of our beginner vocab app as a direct result of feedback we received from French teachers," said Micaya Clymer, Product Manager for Noyo. "We read and respond to every email we receive, and we're hoping this will lead to even more awesome feedback and suggestions from educators. Tell us what you need, and we'll try to make it!" Check your stats--including how words learned, the time spent learning, and assessment scores--and email them to yourself or your teacher! Noyo is a Boston-based educational software company dedicated to providing engaging and cost effective language learning tablet apps. Noyo now offers language learning apps for Spanish, French, Portuguese, Hebrew and Mandarin Chinese. All apps are created by a passionate team of educators, technologists, linguists, and designers. More information can be found at http://www.noyo.com.